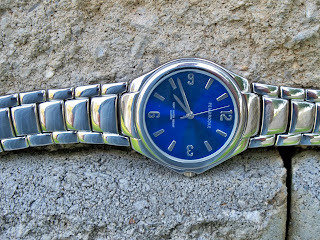 The Watch Dude: Organizing Watches: Some must go! The time has come to get my watches organized. I'm starting a new job. My work dress code will be a little more formal. It even looks like I'll be wearing a suit and tie more often. I'm excited. I'll be taking my game to a new level. But, not every watch in my collection will be appropriate and wearable to my new office. I've got to make some cuts. 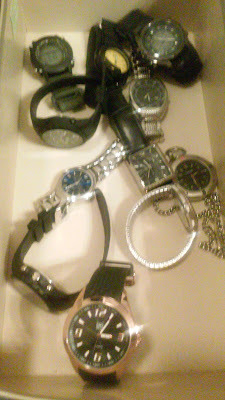 I've placed about a dozen of my watches in a shoe box destined for Goodwill. Some of the choices are obvious. But, the conversations are difficult. Merona with decorative subdials you have to go. I'm just not keen on non-functional subdials. 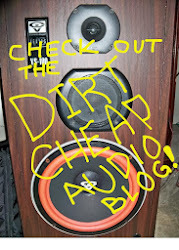 Casual observers won't know the subdials don't work. But, I know. It bugs me. It's not going to work out. 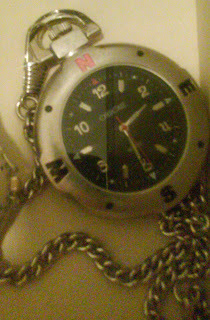 Cherokee pocket watch. The 1880s are over. I'd look ridiculous trying to wear a quartz pocket watch. Walmart no-name ana-digitals, you look great. But, if I put a battery in you. I know you will beep at all the wrong times. 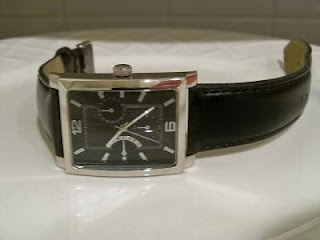 Pembrooke dress watch. You look great. But, you have a tiny dial. People would wonder why I was wearing a "boyfriend" watch. You need to live somewhere else. I know it will be difficult for some of these watches. But, you aren't getting worn now. It will be more fair to you in the long run to find a new home where you can be worn. Plus, you'll be helping a good cause. 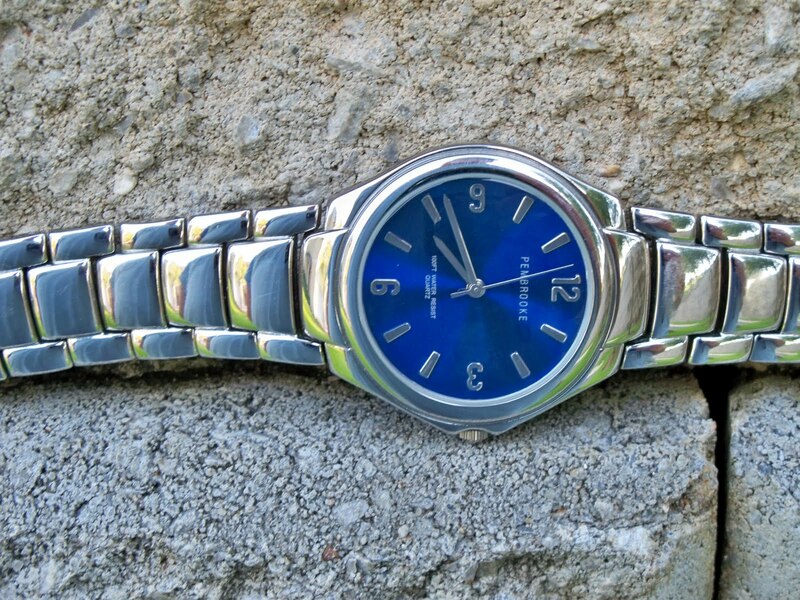 At least, quartz watches don't cry.